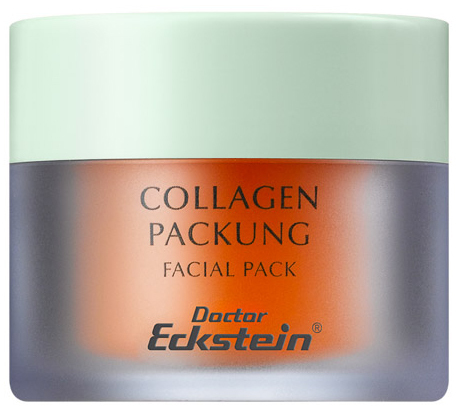 Intensive facial pack for dry and demanding skin conditions. Formulated to provide the right amount of moisture to restore and maintain skin’s natural balance. Highly concentrated, active ingredients improve skin texture and tone and help protect from the environmental causes of premature skin aging. Leaves the skin feeling smooth and hydrated. Contains marine collagen, cytokine complex and wheat germ extract. Aqua(Water), Polysorbate20, PEG-75Lanolin, SodiumCarbomer, Collagen, BenzylAlcohol, Phenoxyethanol, DecylOleate, Parfum(Fragrance), LactisProteinum(WheyProtein), SodiumPCA, Ethylhexylglycerin, DiazolidinylUrea, DehydroaceticAcid, SodiumLactate, CitricAcid, Alpha-IsomethylIonone, SodiumBenzoate, TriticumVulgare(Wheat) GermExtract, TriticumVulgare(Wheat) BranExtract, HexylCinnamal, Linalool, Citronellol, Fructose, Urea, Niacinamide, Inositol, Glycine, BenzylBenzoate, BenzylSalicylate, Geraniol, Citral, Panthenol, AmylCinnamal, Limonene, Coumarin, Eugenol.